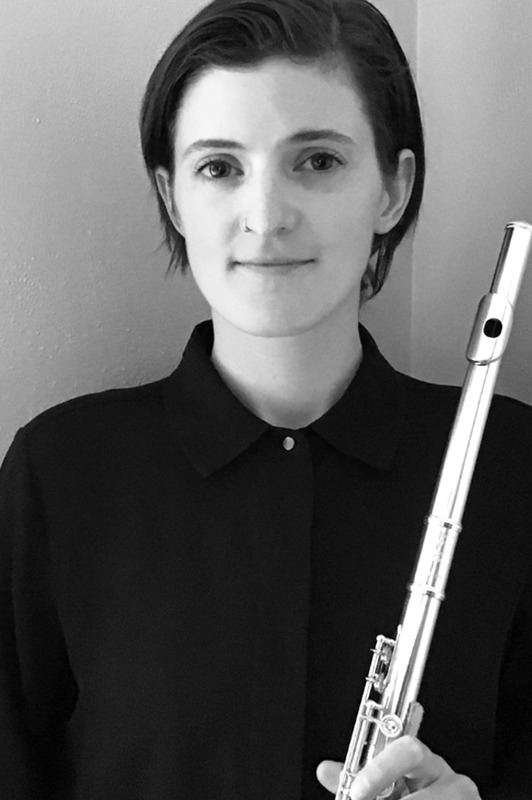 Flutist and woodwind doubler Olivia Dobbs enjoys an active and multifaceted career as a chamber, orchestral, collaborative, and improvising freelance musician. Her instruction emphasizes teaching the whole flutist–performer, listener, creator, and setting, managing, and achieving each student’s unique musical goals. Following her studies at DePaul University’s School of Music in Chicago, Olivia now resides in Milwaukee and works as a pit orchestra musician for regional theaters. She teaches private and group lessons to beginner and intermediate woodwind students at a number of schools in the greater Milwaukee area. She is a regular collaborator with performing ensembles including the Milwaukee Philharmonic, DIY Chamber Music, North Coast Midwest Winds, and Brew City Big Band. Additionally, she volunteers with Girls Rock Milwaukee as a panelist and recording engineer.